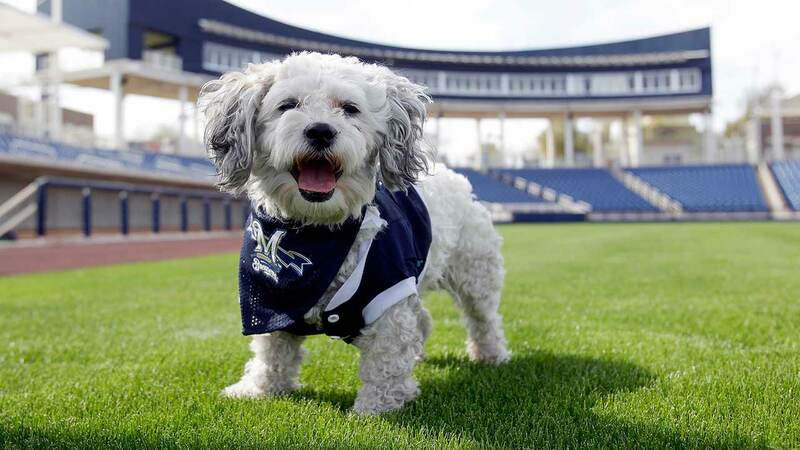 PHOENIX (WLS) -- The newest member of the Milwaukee Brewers is Hank, a stray dog who wandered on the Brewers practice field last year. He became a fan favorite and now he's officially taking over the spot of "rover" on the roster. Hank, who is named after baseball great Hank Aaron, will stay with the team when they head back to Wisconsin for the start of the season.